I did not get the big deal about this stuff, it was constantly popping up with foodies. Then I finally tried it, and oh. my. gosh. it’s delicious!! I changed it up a good bit, so this is not an authentic version, however going to Mexico and trying it are now on my food bucket list! My version is used with all ingredients I was able to easily find at the grocery store or that I already had on hand. Grill or boil your corn until done. If boiling, be sure to dry it off. While your corn cooks, it’s time to make your garlic mayo. 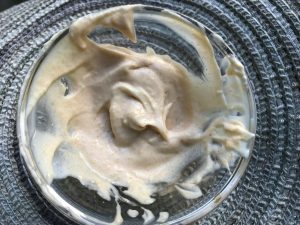 Mix together mayonnaise, greek yogurt, garlic powder, salt and adobo sauce. Set aside. Next mix together your feta and parmesan, set aside. Now chop your cilantro fine. 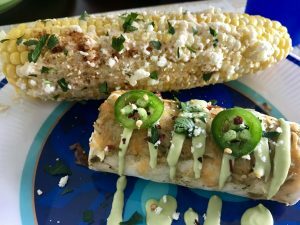 When your corn is done, spread mayo mixture on the cob, sprinkle on paprika, cheese mixture and top with cilantro. Serve warm and enjoy! This blew me away guys! 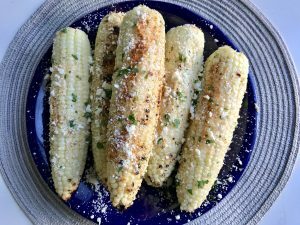 I have been in love with corn on the cob since I was a little girl, I literally get excited when fresh corn is at the grocery store. 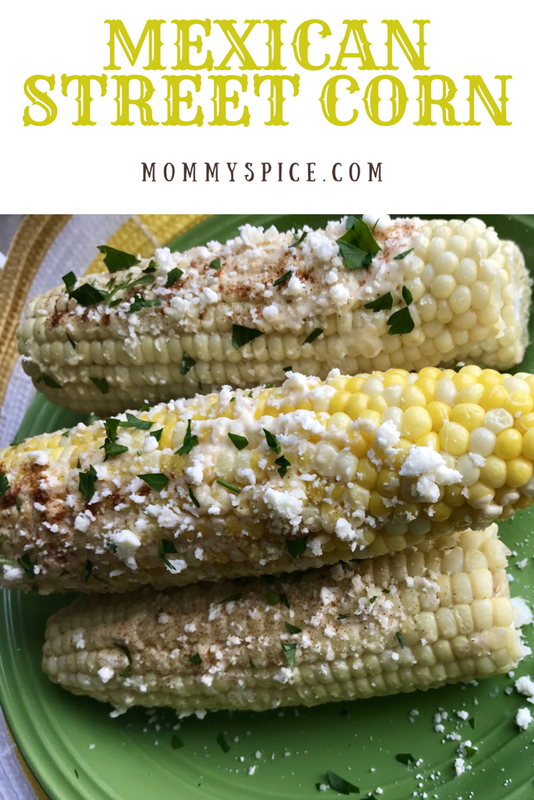 We eat it multiple times a week as a family when it’s in season, and I use frozen corn year round in just about everything I can. I was admittedly nervous about spreading mayonnaise on corn on the cob, but it works! A short cut you could take is pre-made garlic mayonnaise, that’ll save you some time. My tip for this one is if you can find cotija cheese, use that! It’s what is used in real mexican street corn. My local store didn’t have it, but I’m excited to order some for the next time I make this, which will be very soon!